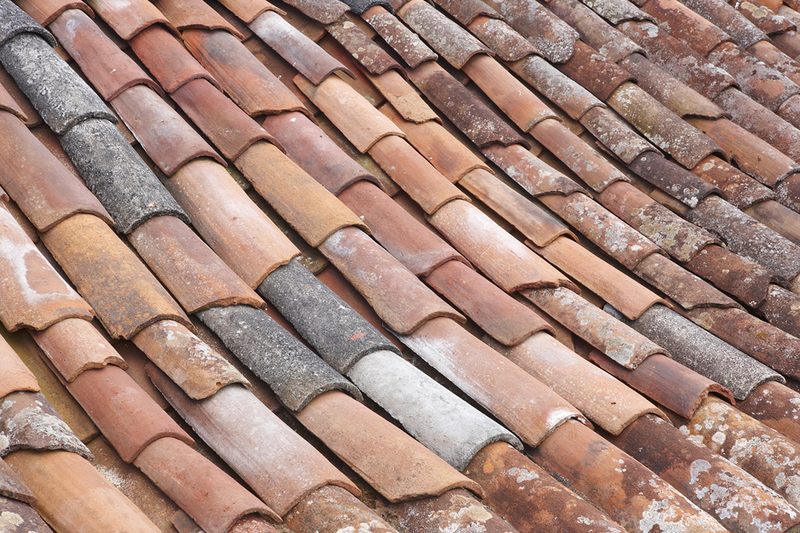 Older roofs can be particularly susceptible to wind damage. Don’t let the rain get you down. Whether it’s through rain or snow or sleet, your roof should keep you warm and dry throughout the rainy, windy, and snowy months of the year. If you suspect that your roof may have a leak, what are some signs that you may need emergency roof replacement or repair? While winds of 50 mph might seem gusty, they may not seem like a big concern if you’re indoors, warm and dry. However, for an aging roof, a large gust of wind in the right direction can lead to the need for an emergency roof repair. Once the underside of your shingles is exposed, you can expect to experience a leak. 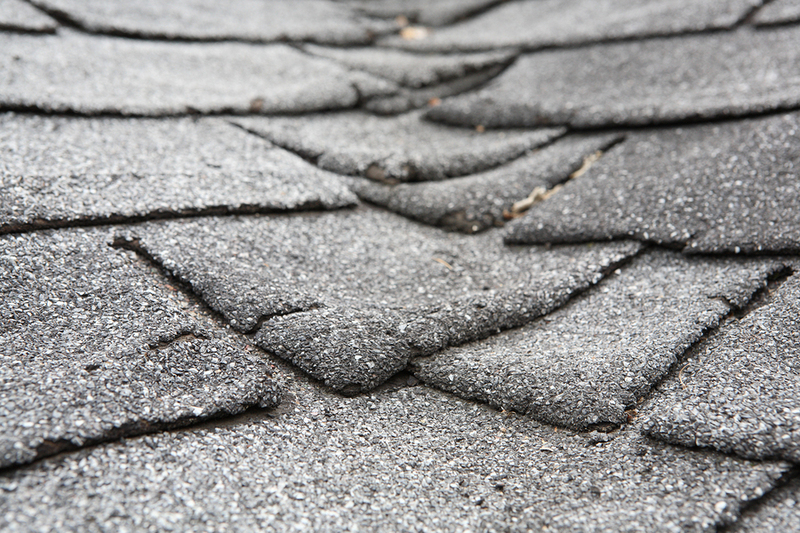 If your roof is older, take a close look at your shingles after large windstorms. If a few shingles are missing, you may be able to replace a small section of damaged shingles, while a large section may necessitate a larger roof replacement. If you have damage that’s only on one side of the roof, you may be able to complete a partial replacement. During a windstorm or a snowstorm, there are further dangers to your roof lurking in the branches above your home. While trees are beautiful to look at, as they age or get damaged they can lose limbs or fall down completely. If a large branch or a tree falls on your home, it’s quite possible that it will remove roofing and puncture the felt paper or other material that protects your home from leaks. The freeze-thaw action of ice has been very successful at eroding entire hillsides, and it’s certainly good at eroding your roofing as well. While snow accumulation on the roof is common in many parts of the country, if the ice thaws, moves under loose shingles, and then freezes and expands again, your winter weather may lead to serious leaking. Keep a close eye inside your home or in the attic during the winter season to ensure that you aren’t experiencing these ice dams. While a visit by a friendly flock of birds is nothing to squawk at, animals like squirrels, raccoons, and woodpeckers can nest or chew holes in siding and roofing. If you’ve noticed new or unusual animal activity around your roof, take a look to see if there are holes in your roofing. Problem gutters may not seem like a roofing issue, but they can cause troubles that lead all the way from the gutter to the rooftop. Gutters that are clogged with debris or frozen with ice and snow can lead to water back-ups that loosen and damage roofing and cause leaks. Sometimes you may be able to repair a smaller section of an older roof. Is a Roof Replacement Always Necessary? Even if you have a leaky roof, you may not need to replace the entire roof. Sometimes, a combination of smaller repairs and preventative maintenance can stop you from having additional problems. For example, you might replace your roofing near your gutters and install Helmet Heat to prevent ice from building up in your gutters and lifting your new roofing. When you’re looking for a solution to your roofing programs, you may not think about looking to your gutters. However, your roof’s drainage system plays an essential role in keeping your roof leak-free. When you’re looking for gutter guards, gutter heating, or roof replacement contact Harry Helmet today.